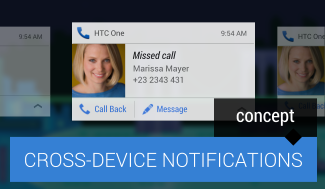 With Android Wear, Google has just announced an operating system which builds completely on Android notifications. It seems to work and even more so look great, proving just once more how much power lies in Androids notification system. However, it is also yet another party that has been added to the already now complicated construction of notifications. Android Wear devices might not produce any new notifications from their own, but they�re yet another component that gets involved into the whole process, for example when deciding which kind of notifications you want to get shown. Thinking also about Google Glass and other new device categories that might come up in near future, I would suggest Google to make the whole thing with notifications a lot easier by introducing a cloud-based notification system. Google should completely replace Android�s current local notifications with a new service, collecting notifications from all of your devices. 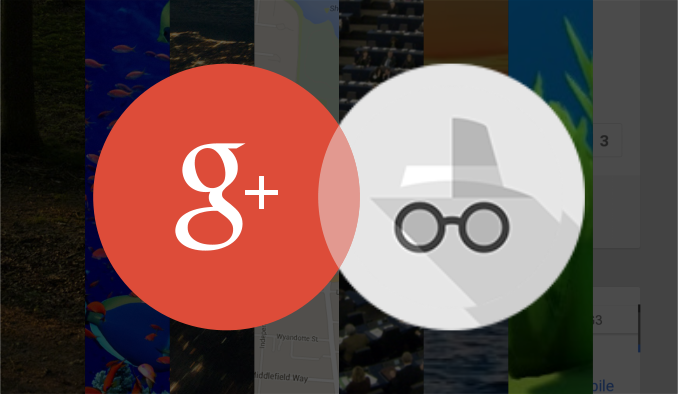 Since it�s now also available on PCs, it seems easiest to use Google Now for this cross-platform system. 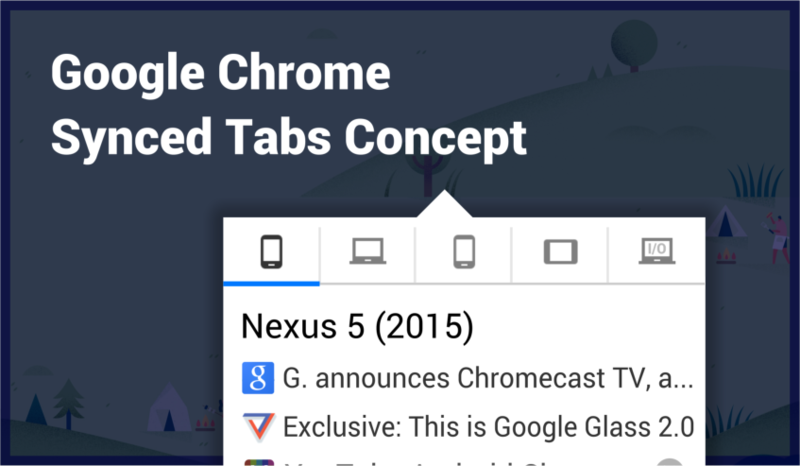 The Google Search app should continue to show nothing but Google Now cards, but Android�s notification center should be transformed into a stream, listing Google Now cards and notifications from your devices and from cross-platform applications like Google+. If an app on your mobile phone has been updated, you should also be notified on your PC, your tablet, and all other devices you�re connected to. And if you close the notification, it should also be closed everywhere else. For a more consistent experience, notifications would have to be redesigned, most likely moving much closer to Google Now�s card interface look. 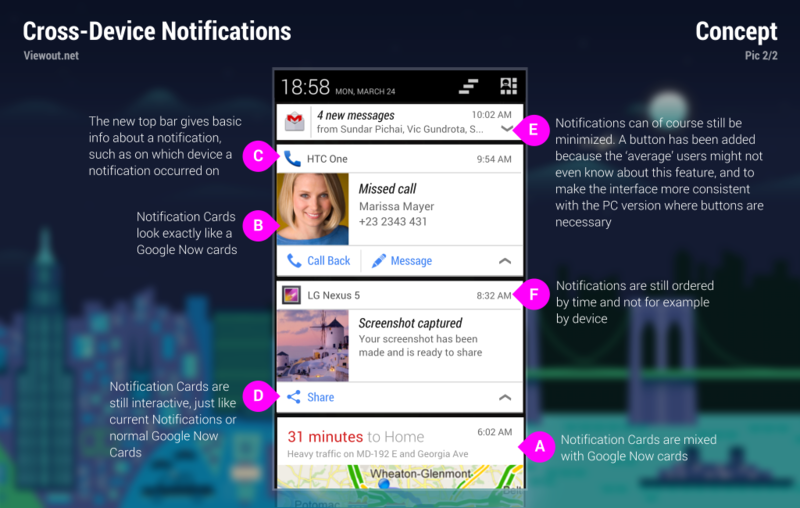 Differing Notification Cards from normal Google Now Cards, basic information - such as the device or application where a notification was sent from - is shown at the very top of every Notification Card. Just like current notifications, these cards could of course also be resized. 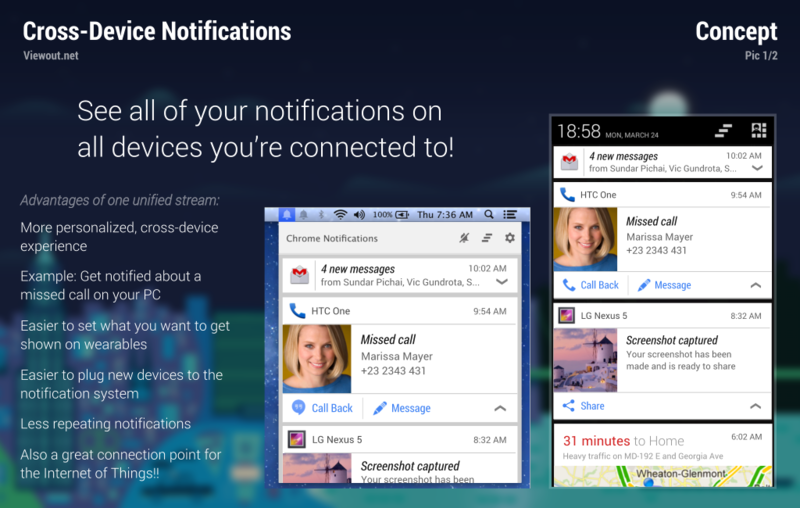 The current state of Google�s notification system can be well compared to messaging. A few years ago, Google was in a perfect position, having several innovative, powerful and also much used messaging services. However, Google apparently waited too long to combine those platforms. And even though we do now have a unified chat system with Google Hangouts, Google has to face a decreasing number of users and huge competition, which it otherwise probably wouldn�t have today. Google could learn from this. 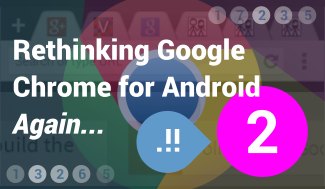 Even though it�s a very different matter, Google should become the first to unify notifications, just as they have also been first to introduce notifications at all (except WebOS). Google�s current strategy is to bring it�s different services closer and closer, and such a notifications system could be the peak of this. And it�s not just a great experience for a user to get notified on his laptop that someone tried to call. Cross-platform notifications would also bound users tighter to the Google universe and make it easier for Google to plug new device categories into it�s notification system in future, thinking for example about gaming consoles and multimedia devices. Moreover, it would also simplify the whole process. Most excitingly, however, this new notification system might even boost the Internet of Things, being the place where everything sends notifications to. Imagine this to become the connection point for your fridge, thermostat and everything else! 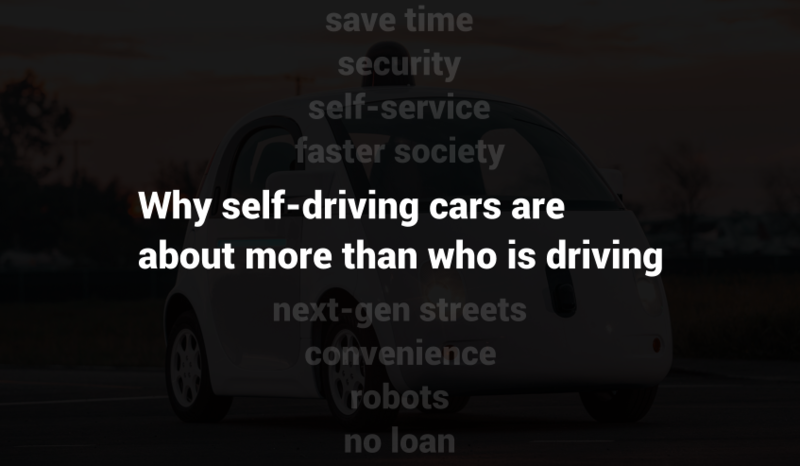 What�s your opinion? 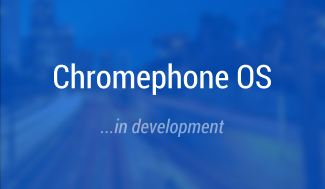 Do you hope that Google will introduce something like this with Android 5.0, maybe at this years I/O in June?